01 February 2013, at 12:00a.m. THE weaning period is a transitional period during which the capacity of an animal to digest starch develops and the ability to digest lactose wanes (explaining the diarrhoea often seen when the suckling period is prolonged). For kittens and puppies this is a stressful time. They are separated from the mother and set out to explore new environments. Their maternal immunity starts to wane and their own immune response is not yet fully developed. On top of this, they are at increased risk of encountering infectious agents and, given their low gastric acidity, are more open to toxic infections from poorly processed food or from poor hygienic standards. To help support the immune function, brain development and general health of animals during weaning, a high-quality, well-balanced diet should include high levels of antioxidants (such as vitamins E, C and taurine) and appropriately balanced essential amino acids and fatty acids (such as docosahexaenoic acid). In dogs, the weight at birth changes very quickly, being doubled in 7 to 10 days, tripled in three weeks and quadrupled or quintupled in a month. Breed-specific variations in puppy growth patterns are well documented. Larger breeds (with a growth period of anything up to 24 months) have a longer growth period than smaller breeds (averaging eight months). However, most breeds will reach half of their adult body weight at six months of age. Poor nutrition during the first four months can have dire consequences for future growth and development. During this period excesses can be as dangerous as deficiencies. 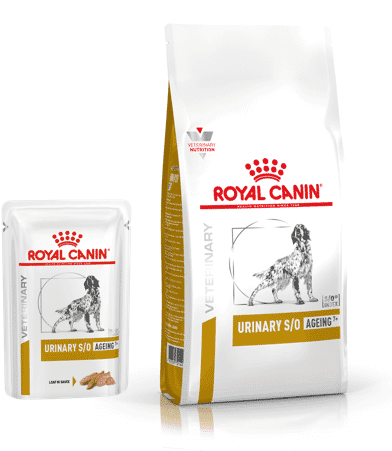 During weaning and early growth, the puppy has a very sensitive digestive system (low digestive capacity) and is experiencing a critical period in terms of its immune system. fermentable and non-fermentable dietary fibres such as fructo- oligosaccharide (FOS) and mannan- oligosaccharide (MOS) can have a beneficial effect on the digestive tract of puppies. Given the marked differences in growth periods, the diet should be selected with the age and stage of development taken into account together with the anticipated adult size of the animal. With cats, nutrition has much more of a consequence post-neutering, when the feline is faced with a number of risk factors related to gender (such as stone formation and obesity), risks which can be reduced via diet. That said, there are still some important considerations when feeding growing kittens. In terms of monitoring growth, it is useful to weigh kittens daily and at the same time every day. Kittens, like puppies, grow rapidly, gaining 10 to 15 grams per day and doubling their birth weight within 10 days. Weaning should be a gradual process but can be aided by providing a wet or a dry soaked food, suitable for kittens, from an early age. Cats appear more sensitive than many other animals to the taste and texture of food; soaking dry food in a suitable milk replacer will help make the food more appealing and the amount of liquid added can be gradually reduced over time until the kittens are fully weaned. Ideally, the diet fed to the queen will be the weaning diet of choice. 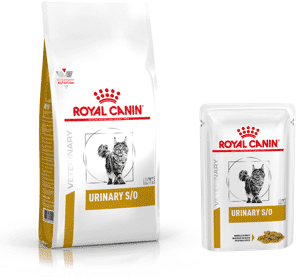 As with puppies, kitten food should be energy dense, highly digestible, complete and well balanced in terms of nutrient content. At eight weeks of age, a kitten has an energy requirement two to three times more per kilogram bodyweight when compared to an adult cat. Energy requirements will stay high until around 12 weeks of age when the animal then enters a slower growing period. In summary, practitioners have a level of responsibility to ensure that clients are made aware of the requirements of a growing animal and so ensure that optimal nutritional requirements are met. Puppies and kittens, fed a diet especially formulated for their age and stage of development as well as their adult size will have all of their nutritional requirements addressed.